For an athletic car with plenty of luxury and comfort, you can go wrong with the BMW 4 Series. Plus, it has the versatility to suit your driving needs, coming in a Coupe, Gran Coupe, or Convertible model. In this 2018 BMW 4 Series review, we’ll go over the specs of the Gran Coupe. This will help determine if the vehicle is right for your drives around Stratham, Portsmouth, and Exeter.  Read all about this impressive vehicle below and contact us at BMW of Stratham if you have any questions. The BMW 4 Series comes standard with a 2.0L 4-cylinder engine that delivers 248 horsepower and 258 lb-ft of torque. For even more power, there’s the available 3.0L 6-cylinder engine that puts out 322 horsepower and 332 lb-ft of torque. Both engines are mated to an 8-speed Sport Automatic transmission with automatic Sport and Manual shift modes. This allows for quick and smooth shifting. There are also four driving modes to choose from: Eco Pro, Comfort, Sport, and Sport+. These change driving dynamics to suit your preferences. The vehicle comes standard in rear-wheel drive but is available in all-wheel drive. The xDrive Intelligent All-Wheel Drive System constantly monitors road conditions. If it detects wheel slip, it’ll send power to the wheel with the most grip. This is to improve traction and deliver responsive handling. The 2018 4 Series has plenty of space for five passengers, with 42.2 inches of front legroom and 33.7 inches of rear legroom. There’s also plenty of space to fit all your needed items inside. You get 17 cubic feet of cargo room behind the rear seats. Fold them down, and that space expands to 45.9 cubic feet. Plus, with the 40/20/40 split fold-down rear seats, you can fit lots of cargo while still leaving room for a passenger. Furthermore, the vehicle has plenty of amenities to help keep you comfortable. It comes standard with leatherette upholstery but has available leather seating. Plus, heated front seats, along with a heated steering wheel, are available. This allows you to stay cozy on colder nights. The 4 Series also has 10-way power front sport seats with driver memory. This lets you get in that perfect position up front. Plus, the memory function will save your seating and mirror positions. This makes it easier to switch driving duties between you and one other person. 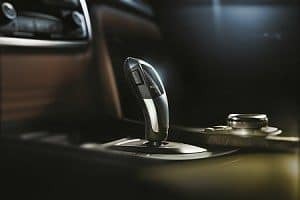 The BMW 4 Series offers lots of high-tech features to help stay connected and entertained. It comes standard with a CD/MP3 player, HD Radio™, 9-speaker sound system, and Apple CarPlay™. You also get Bluetooth® technology to stream audio or make hands-free phone calls. The vehicle comes standard with a BMW Navigation system, as well. This will display 3D maps on an 8.8-inch high-resolution touchscreen. You can use voice command to pull up directions, and it’ll give you over-the-air updates for map data four times a year. Upgrade to a higher trim level, and you’ll get a 1-year All Access trial subscription to SiriusXM® Satellite Radio. This will give you over 100 channels of sports, news, and commercial-free music to listen to. There’s also an available 16-speaker Harman Kardon® Surround Sound Audio System, to listen to your music in concert-like quality. Whether you’re interested in the Coupe, Gran Coupe, or Convertible, the BMW 4 Series will surely impress. If you still need help deciding if it’s right for you, schedule a test drive at BMW of Stratham. We love helping drivers throughout Stratham, Portsmouth, and Exeter find their dream car, and we want to do the same for you. So, don’t wait. Contact us today to get started!